Remember to only pick the highest Profession XP tasks. At level 25, Jewel crafting allows you to make personalized rings. With the exception of some random loot drops from the hardest content, they are best in slot. Level 21, 22 and 24 in Leadership allow you to create refinement items which can be used to level up your equipment. You can also sell them for profit and get free bags by doing certain quests. Close to the Crown and Clockwork Guild Tomb will give you 30 bag slots between them. Crown is towards the end of the quest line in the Black Lake District. Clockwork is the end of an optional quest line in Neverdeath Graveyard. To the left of the bonfire, there is a man standing in front of a tent. As you progress through the Neverdeath quest lines, he will offer you side quests. After you have hit level 70 and reached a higher item level, you will have access to a 25-man raid to fight Tiamat. A successful completion has a tiny chance of dropping a 20 slot bag. Other better bags can be bought from the Zen Store or from the AD market. You can pick up a Zen shop purple mount immediately, especially one that has the Wanderer's Fortune insignia bonus available to it. Wanderer's Fortune is a fantastic way to earn RP which is something you will need for upgrading your end game enchantments and artifact gear. In addition, the VIP will provide you with many benefits. The main one is that you can use it to open a lockbox. The lockbox will contain some valuable items that you can choose to sell on AH for more Neverwinter Astral Diamonds. Do skirmishes and leveling dungeons won't get you a ton of XP or AD, but a lot of them cannot be played anymore once you hit a certain level. Some of them are pretty fun. Because the game will be released on PS4 version and queue times will be short, you don't have to spend real money on the game in order to get the cash shop currency. Hope these tips might be a little helpful. 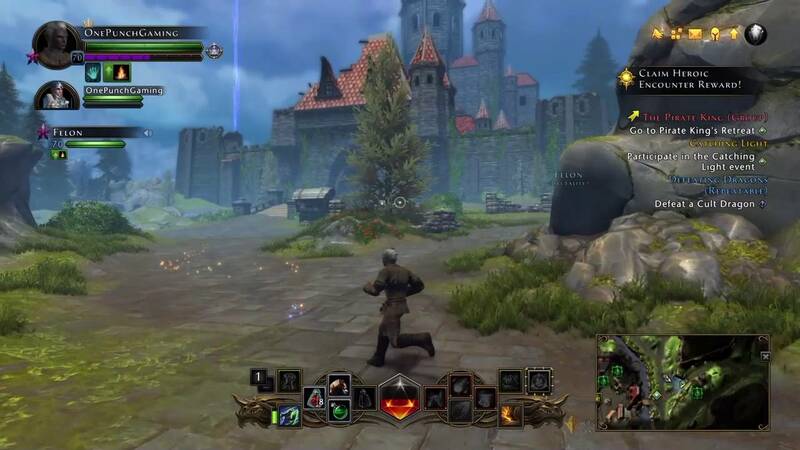 The Neverwinter expansion Storm King's Thunder is on consoles, have fun with the game.